Some winemakers in Bordeaux are calling the 2016 vintage part of “the second coming of Bordeaux”. Combined with the superb 2015 vintage, they could be right. I tasted more than 1,300 wines from 2016 a few weeks ago in Bordeaux, and spoke to at least 40 winemakers in the region. The freshness and structure of the reds and whites produced that year, as well as their purity and transparency, was impressive. They have a classicism that reminds me of the great wines of the 1980s, but much more precision and clarity. 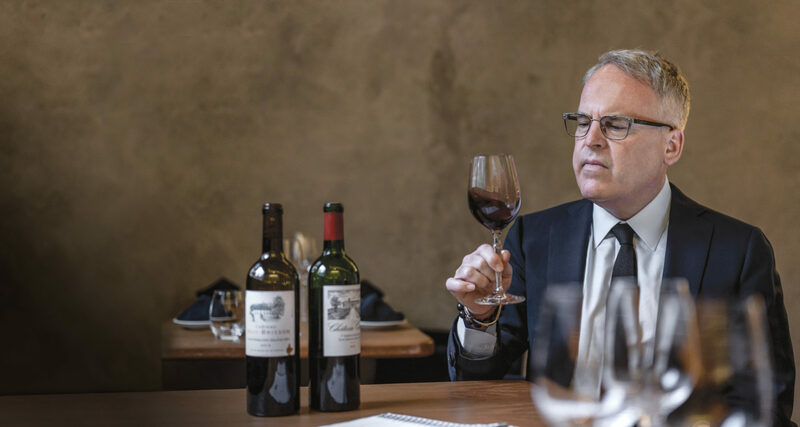 Mathieu Chardonnier, head of the négociant house of CVBG, which also owns a number of top Bordeaux wine estates and sells millions of cases of Bordeaux each year, is one expert who talks of the so-called second coming. I rated eight wines with perfect scores in 2016 and 14 in 2015. I think 2015 made more truly great wines than 2016, but the latter is very close and slightly more homogeneous in quality. This means you can buy just about anything bottled in Bordeaux in the 2016 vintage, from the simplest Bordeaux to the grandest of classified growths or trophy wines from the Right Bank, and be assured you’re getting a top-quality wine. Tasting at Château Pavie in Saint-Émilion. We gave 149 wines 95 points or more from 2015, while 2016 had 100 wines at the same level, and 927 wines scored 90 points or more from 2016, compared to 864 from 2015. We reviewed 1,256 wines in the 2015 vintage and 1,342 in 2016. I’ve been lucky enough to drink a number of bottles of both the 1971 and 1970 Pétrus (albeit a long time ago) and they’re superbly balanced and beautiful bottles. It’s hard to say which is better, with the 1970 showing more richness and the 1971 more energy. 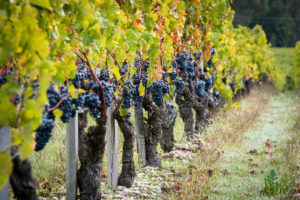 Most winemakers use more recent comparisons such as 2010 and 2009. About half of those I spoke to said that 2016 was like 2010 and half like 2009. What is clear is that the 2016 bottles have about 1 percent less alcohol than the 2015s and slightly more acidity. This gives the 2016 reds a slightly less ripe and more tannic mouthfeel than the 2015s. It suggests the 2016s will age slightly better than the 2015s, but I don’t think it matters much, as both vintages have a long life ahead. 2016 is a top vintage and, I think, more of a Cabernet Sauvignon vintage. The northern Médoc made the best wines, including those in the appellations of Saint-Estèphe, Pauillac and St Julien. However, some superb wines were also made in all the key appellations, regardless of whether they were Left or Right Bank. When it comes to whether 2016 or 2015 was a better year, I can confirm that the 2016 is one of the best vintages since 2010. I would rate it ahead of 2000 and 2003, as well as every vintage in the 1990s except 1990 itself. The only modern vintages that rate better are 2005, 2009, 2010 and 2015 — the latter only by a hair. Others may disagree, including at least half of the 40 or so vintners we spoke to. Some of this may be because the 2016 is the most recent vintage on the market. They want to sell it. But I understand the debate. Similar debates still go on regarding the 1989 and 1990, 1995 and 1996, and 2009 and 2010. Prices don’t seem to be much of a factor as wine merchants in Bordeaux say that 2015 and 2016 wines are about the same price now, even though 2015 was significantly less expensive at the beginning. To conclude, I want to buy a number of wines in 2016 just like I did in 2015. And I recommend you do the same if you love excellent Bordeaux. These two vintages produced wines that are incomparable to other reds made in the world. And the wonderful balance, intensity and clarity of the wines are so, so Bordeaux today. For a complete list of the nearly 2,500 Bordeaux from 2016 Suckling and his team have tasted, see JamesSuckling.com.